Ormesby Hall is a Grade II listed Elizabethan country house on the outskirts of Middlesbrough. The Hall was home to the Pennyman family for over 3 centuries. 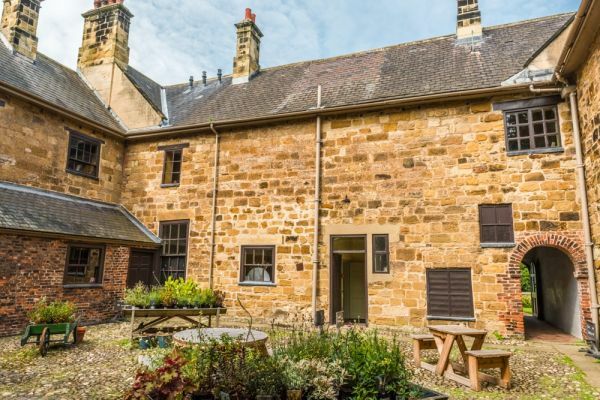 The original Hall is a two-storey structure, but the house was altered in the 18th century to provide a three-storey block of ashlar under a steeply pitched roof. 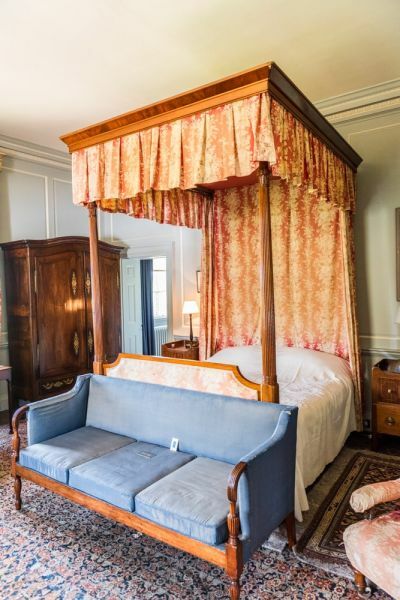 The exterior is a sedate Palladian design, but the interiors feature extravagant furnishings and plasterwork decoration, including a very fine collection of historic paintings. Take a trip 'below stairs' to see the Victorian laundry, scullery, and larder. The Georgian stable block has been converted to serve as headquarters for the Cleveland Mounted Police, and the Old Wing of Ormesby Hall houses a model railway collection. The Ormesby estate goes back to before the Norman Conquest. It may take its name from Orme, a tenant here at the time of the Domesday Book. James Pennyman bought the Ormesby estate, including the entire village of Ormesby, in 1599. He was the first of many generations of Pennyman owners, most of them also named James! When he purchased the estate, there was no manor house, just a large farmhouse. James adapted the farmhouse, which his son later extended. In the late 17th century the Pennymans began to acquire more land and owned several large mansions in a vast estate stretching from Guisborough to the Tees. In 1722 another James Pennyman married Dorothy Wake, the daughter of the archbishop of York. The newlyweds came to live at Ormesby Old Hall. but Dorothy didn't think much of the Elizabethan building. In 1740 she had the present mansion house built beside the Old Hall and lived there until her death in 1754. It is obvious that Dorothy Pennyman employed the best regional craftsmen, artists, and architects of the day. One of the most interesting was Colonel James Moyser of Beverley, a gentleman architect who worked on Ormesby Hall from 1740-1745. 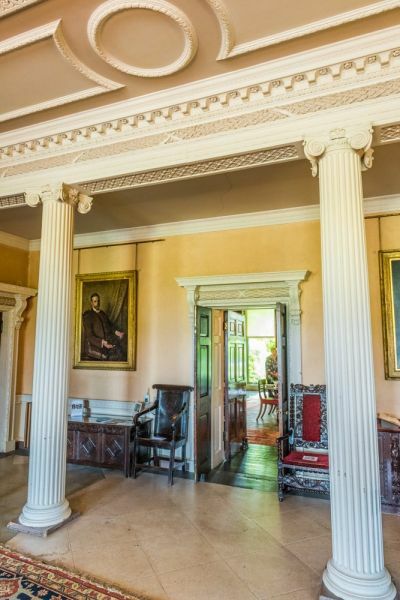 The best-known architect to be employed at Ormesby Hall was Jahn Carr of York, who was responsible for the elegant stable block and the elegant interiors, remodelled in the 1770s. 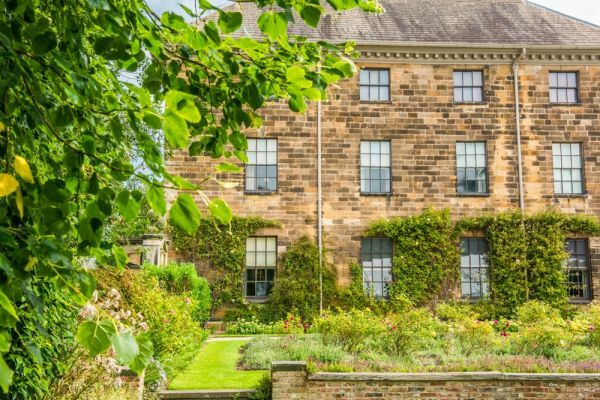 The result is one of the finest Palladian houses in the north of England. 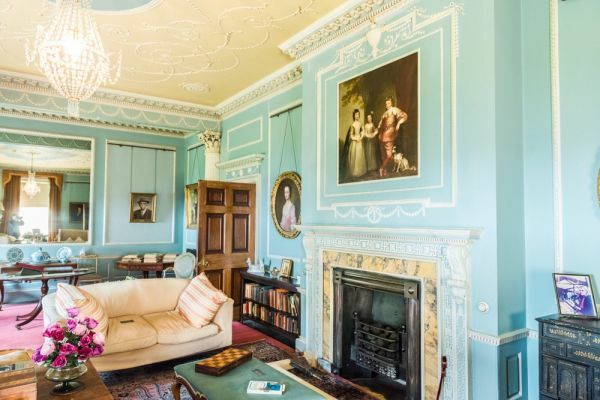 Subsequent generations of the Pennyman family lived elsewhere so it was left to the 6th Baronet, 'Wicked' Sir James, to refurbish the house and build an adjoining stables. Pennyman was fond of his racehorses, but he was fonder still of gambling, and he managed to squander the Pennyman fortune. He was forced to sell most of the house furnishings to pay his gambling debts and moved out of Ormesby Hall. The family fortunes never fully recovered, though the 7th Baronet was a frugal man and under his care they were at least able to keep the house. 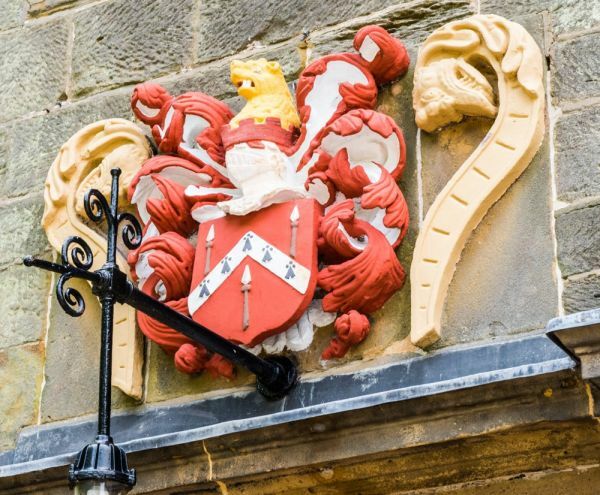 He was the last Baronet, and after his death, the estate passed to a distant relative who was forced to change his last name to Worsley Pennyman in order to inherit. National Trust volunteers sorting through the attics at Ormesby Hall made an eye-opening discovery; a box of letters from local women who had lost a loved one in WWI, sent to Mary Pennyman, who acted as the secretary of the King's Own Scottish Borderers Widows and Orphans Fund. There were hundreds of heart-rending letters from grieving women who had lost a son, brother, or husband in the war. The University of Teesside undertook a project to digitise over 100 of these emotional letters and use them as a starting place to learn more about the women who sent them, and their lives before and after the heartbreak of World War One. The letters can now be searched online at Dear Mrs Pennyman (http://www.dearmrspennyman.com/). The last of the Pennymans was yet another James, known as Jim Pennyman, who followed a career in the military. He came to Ormesby Hall to live with his wife Ruth in 1926. When James Pennyman died in 1961 he left Ormesby Hall to the National Trust. His wife Ruth, the last of the Pennymans, lived on at the Hall until her death in 1983. 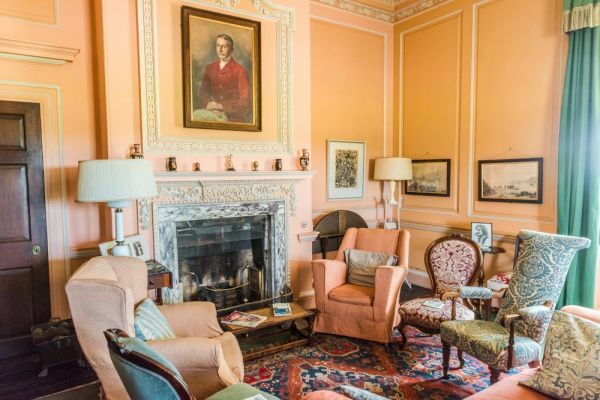 Several of the couple's personal photographs are on display throughout the house, and many of the rooms reflect how Mrs Pennyman lived at Ormesby during the final few decades of her life. Ormesby Hall is home to an active Model Railway Group who operate several model railway layouts in a wing of the Hall. The exhibition has been running for over 20 years at the Hall and draws enthusiast visitors from far and wide. Thee are 3 permanent layouts, illustrating Corfe Castle, Dorset, in the early 1920s, Pilmoor Junction, on the East Coast Main Line between York and Thirsk, in the 1930s, and A Thomas the Tank Engine layout built as part of the National Trust Year of the Child celebration. The Hall is set in over 143 hectares of parkland laid out in the landscape garden style popularised by Capability Brown. The grounds are enclosed by a band of trees known as The Pleasure Grounds, which are dissected by sinuous paths. The park was carefully designed to impress visitors approaching the Hall, with a winding drive leading to views of the Hall and Stable Block standing amid broad lawns and set against a backdrop of mature trees. Closer to the house are small formal gardens. 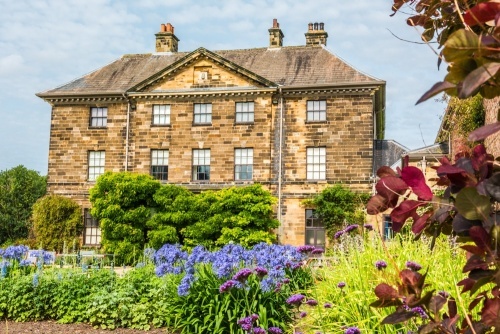 Ormesby Hall is one of the smaller National Trust properties but that helps create a much more relaxed atmosphere than other more popular and heavily visited stately homes. 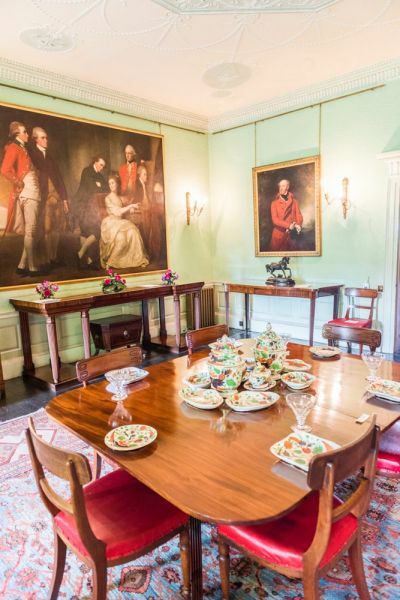 It's really a misnomer to call Ormesby Hall a stately home; it is a beautiful historic house with a fascinating history, but it is much more of a family home than a stately museum-piece. The Hall is easily reached off the A172 via Ladgate Lane (the B1380). Ormesby is on the southern edge of Middlesbrough, about 3 miles from the town centre. Location: Off the A172. Entrance on Ladgate Lane (B1380). Seasonal opening.